The journal article below, published earlier this year, provides more evidence that Gulf War Illness and Chronic Fatigue Sydrome/Myalgic Encephalitis (CFS/ME) are different conditions. This study, by Dr. Svetlana Khaiboullina et al, demonstrates that pro-inflammatory cytokines show different profiles in the two conditions. Cytokines are small proteins released by cells; pro-inflammatory cytokines are related to the body's inflammation response. They can be found and measured in certain body fluids. 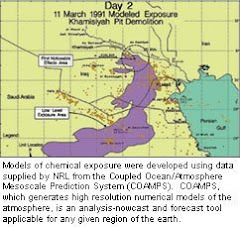 Gulf War illness (GWI) is characterized by a Th1/Th17 shift. Th1, Th2 and inflammatory cytokines characterize myalgic encephalomyelitis (ME). Cytokine importance by Random Forest were IL-7, IL-4, TNF-α, IL-13, and IL-17F. GWI and ME have distinct cytokine profiles despite similar symptomology. 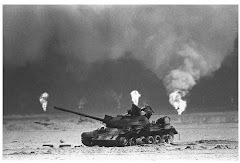 Gulf War illness (GWI) is a chronic disease of unknown etiology characterized by persistent symptoms such as cognitive impairment, unexplained fatigue, pervasive pain, headaches, and gastrointestinal abnormalities. Current reports suggest that as many as 200,000 veterans who served in the 1990–1991 Persian Gulf War were afflicted. Several potential triggers of GWI have been proposed including chemical exposure, toxins, vaccines, and unknown infectious agents. However, a definitive cause of GWI has not been identified and a specific biological marker that can consistently delineate the disease has not been defined. Myalgic encephalomyelitis (ME) is a disease with similar and overlapping symptomology, and subjects diagnosed with GWI typically fit the diagnostic criteria for ME. For these reasons, GWI is often considered a subgroup of ME. To explore this possibility and identify immune parameters that may help to understand GWI pathophysiology, we measured 77 serum cytokines in subjects with GWI and compared these data to that of subjects with ME as well as healthy controls. Our analysis identified a group of cytokines that identified ME and GWI cases with sensitivities of 92.5% and 64.9%, respectively. The five most significant cytokines in decreasing order of importance were IL-7, IL-4, TNF-α, IL-13, and IL-17F. When delineating GWI and ME cases from healthy controls, the observed specificity was only 33.3%, suggesting that with respect to cytokine expression, GWI cases resemble control subjects to a greater extent than ME cases across a number of parameters. These results imply that serum cytokines are representative of ME pathology to a greater extent than GWI and further suggest that the two diseases have distinct immune profiles despite their overlapping symptomology. Corresponding author at: Department of Biochemistry and Molecular Biology, University of Nevada School of Medicine, 1664 N Virginia St, MS 0330, Reno, NV, USA. Tel. : +1 775 682 8278; fax: +1 775 682 8258. Current address: Institute of Fundamental Medicine and Biology, Kazan Federal University, Russian Federation. In another study reported earlier this year (M. Li et al, "Self-reported post-exertional fatigue in Gulf War veterans: roles of autonomic testing," http://www.ncbi.nlm.nih.gov/pmc/articles/PMC3882719), SFPN was also found in some -- but not a majority -- of Gulf War Illness patients. It is becoming clear that differential diagnosis for pain in Gulf War veterans with chronic pain should include comprehensive testing for the possible presence of SFPN. © 2014 Oaklander et al; licensee BioMed Central Ltd.
Syndromes involving unexplained chronic widespread pain (CWP) and multi-system symptoms are common, with 1-5% prevalence for fibromyalgia alone. They more often affect females and cause disability and high costs [1-3]. Other common syndromes include chronic fatigue, seronegative Lyme, and Gulf War Illness. Fragmentary syndromes include TMJD, POTS, CRPS, irritable bowel). These syndromes are particularly devastating in children and young adults, where they interfere with education and development and disrupt entire families [4-6]. SFPN is known to cause CWP and multi-system complaints in older adults. Unlike the syndromes above, SFPN can be objectively diagnosed by measuring innervation in lower-leg skin biopsies, and autonomic functions testing (AFT) of heart rate, blood pressure and sweating . SFPN has several established causes including diabetes, infections, cancer, and toxins. Many causes are diagnosable, treatable, and sometimes curable . Our work suggests that unrecognized SFPN contributes to several syndromes involving CWP and multi-organ symptoms. With IRB permission, we retrospective analyzed the medical records of 41 patients with onset of unexplained CWP and multisymptoms before age 21; most had objective testing for SFPN . We also prospectively studied 27 adult patients with fibromyalgia and 30 healthy volunteers using history, examination, skin biopsies and AFT . Retrospective chart review identified definite (in 59%) and probable SFPN (in 17%) among the young patients with onset before age 21 . We characterized the clinical features, diagnostic, and treatment options for this new early-onset SFPN. Studying children, who lacked the typical causes of late-onset SFPN, implicated autoimmune causality in most. Among patients treated with immunomodulatory therapies, pain and other symptoms improved in 2/3 . Among adults with fibromyalgia, 41% of skin biopsies from subjects with fibromyalgia vs. 3% of biopsies from controls were diagnostic for SFPN, and symptom and examination scores were higher in fibromyalgia subjects than in controls (all P ≤ 0.001) . All fibromyalgia patients diagnosed with SFPN then had blood tests for all known causes . None had diabetes but 62% had test-results consistent with dysimmunity, and some had genetic causes . Other laboratories have now also linked fibromyalgia to SFPN [11-15]. Some patients with unexplained widespread pain and multi-system syndromes such as fibromyalgia have objectively diagnosable SFPN. SFPN can affect children and young adults, not just older adults. Multiple lines of evidence suggest that early-onset SFPN has novel causes that can be treated. The prevalence of SFPN among TMJD patients is unstudied. Supported in part by the NIH (NINDS K24NS059892, Department of Defense grant GW093049, and donations from the Bradley, Collman, and Cheever Powell family foundations. Lindell L, Bergman S, Petersson IF, Jacobsson LT, Herrstrom P: Prevalence of fibromyalgia and chronic widespread pain. White KP, Speechley M, Harth M, Ostbye T: The London Fibromyalgia Epidemiology Study: the prevalence of fibromyalgia syndrome in London, Ontario. White KP, Speechley M, Harth M, Ostbye T: The London Fibromyalgia Epidemiology Study: direct health care costs of fibromyalgia syndrome in London, Canada. van Geelen SM, Bakker RJ, Kuis W, van de Putte EM: Adolescent chronic fatigue syndrome: A follow-up study. Mikkelsson M, El-Metwally A, Kautiainen H, Auvinen A, Macfarlane GJ, Salminen JJ: Onset, prognosis and risk factors for widespread pain in schoolchildren: A prospective 4-year follow-up study. England JD, Gronseth GS, Franklin G, Carter GT, Kinsella LJ, Cohen JA, et al. : Practice Parameter: Evaluation of distal symmetric polyneuropathy: role of autonomic testing, nerve biopsy, and skin biopsy (an evidence-based review). Report of the American Academy of Neurology, American Association of Neuromuscular and Electrodiagnostic Medicine, and American Academy of Physical Medicine and Rehabilitation. England JD, Gronseth GS, Franklin G, Carter GT, Kinsella LJ, Cohen JA, et al. : Practice Parameter: Evaluation of distal symmetric polyneuropathy: role of laboratory and genetic testing (an evidence-based review). Report of the AAN, AANEM, and AAPMR. Oaklander AL, Klein MM: Evidence of small-fiber polyneuropathy in unexplained, juvenile-onset, widespread pain syndromes. Oaklander AL, Herzog ZD, Downs HM, Klein MM: Objective evidence that small-fiber polyneuropathy underlies some illnesses currently labeled as fibromyalgia. Üçeyler N, Zeller D, Kahn AK, Kewenig S, Kittel-Schneider S, Schmid A, et al. : Small fibre pathology in patients with fibromyalgia syndrome. Albrecht PJ, Hou Q, Argoff CE, Storey JR, Wymer JP, Rice FL: Excessive peptidergic sensory innervation of cutaneous arteriole-venule shunts (AVS) in the palmar glabrous skin of fibromyalgia patients: Implications for widespread deep tissue pain and fatigue. Serra J, Collado A, Sola R, Antonelli F, Torres X, Salgueiro M, et al. : Hyperexcitable C nociceptors in fibromyalgia. Giannoccaro MP, Donadio V, Incensi A, Avoni P, Liguori R: Small nerve fiber involvement in patients referred for fibromyalgia. Caro XJ, Winter EF: Evidence of abnormal epidermal nerve fiber density in fibromyalgia: Clinical and immunologic implications.